There’s synchronicity in the centenary year of the “People’s Budget”, delivered in the UK under the Liberal prime ministership of Herbert Asquith by Chancellor of the Exchequer David Lloyd George, that we again need a People’s Budget if we wish to extricate ourselves from this particular global financial crisis. Although the principles behind land tax, the keystone of the 1909 People’s Budget, were overwhelmingly supported by the British people and better understood than they are these days, they were opposed by the House of Lords, despite the fact that it had become accepted practice since the 17th century that the Lords would not reject House of Commons budgetary measures. They nevertheless vetoed the chancellor’s ‘land tax’ budget …. the government be damned! The land tax proposal finally being withdrawn to ease the political impass that developed, Winston Churchill and Lloyd George quickly used the people’s wrath to curb the power of the Lords from being thus misused again. Preparations to devise a land tax valuation base meanwhile proceeded. Militarism was in the air a century ago. Germany had begun to overtake Britain industrially and pose a threat to her markets. The aristocracy of both countries considered a war was needed: maybe a good war would resolve failing economies and finally fix vacillating imperial boundaries. Lloyd George wouldn’t accept such twisted, fatalistic logic. He tried to countervail the militaristic bravado by proposing a cut in expenditure on Britain’s new Dreadnought battleships, reducing their planned number from six to four. 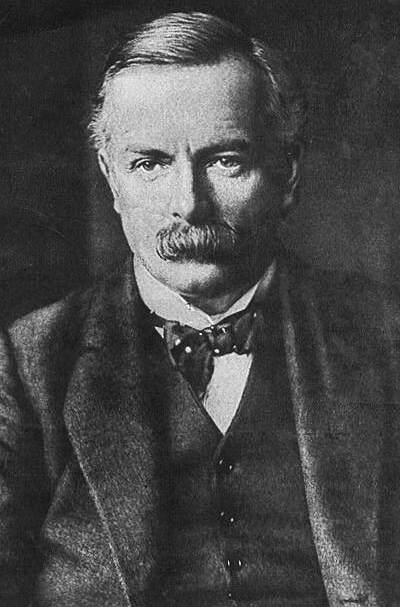 However, the Tory opposition, with closet support from the First Sea Lord, mounted a formidable campaign (“We want eight and we won’t wait!”) which saw Lloyd George defeated on the matter within his own cabinet. War was ensured. In the tinderbox setting, the killing of Austro-Hungarian Archduke Franz Ferdinand by Bosnian-Serb student Gavrillo Princip on 28 June 1914 provided the convenient excuse for the outbreak of war. It served other purposes for The Powers That Be, both in England and Germany. The British aristocracy believed it all to the good that it would also put paid to any suggestion of a national land tax. So they were not unhappy when Germany declared war on Britain’s ally Russia on 1 August 1914. Britain and France invaded the German protectorate of Togoland in Africa within the week. The tactics employed against the People’s Budget serve a useful warning of the lengths to which The Powers That Be are prepared go to resist the capture of publicly-generated rent. They preferred to wage WW1 rather than allow labour and capital to be freed from their throttling rentier grip. Incredibly, things haven’t changed one hundred years on; politicians and policymakers still remain in the thrall of the lords of the land and the people again take it in the neck. The question now arises whether a collapsing Pax Americana will also gear up for hostilities in order to try to resolve its economic collapse. In a scenario of deepening depression, does America’s biggest creditor, China, have reason to be alarmed for its future? There’s much goodwill at the moment for Barack Obama. The world is ready for a cooler, more thoughtful approach to international relations than was conducted by President George W Bush and his colleagues. A lot of the goodwill for the new President will dissipate rapidly when his newly-announced $1 trillion infrastructure program fails to turn the economic tide. Although Keynesian pump-priming would assist the US economy greatly as it emerges from economic depression, it will be found wanting during the initial deflationary phase as the economy tries to deleverage from the financial fiasco. 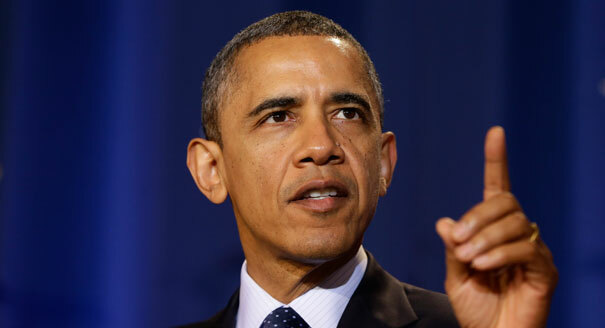 The economy has seized control of events, and President Obama and his economists must accept the fact. And instead of handouts to the FIRE sector (finance, insurance and real estate), posterity would owe a vote of gratitude to Barack Obama were he to direct the attention of Congress to repairing the structural fault that brought about the collapse, namely, dismantling the pernicious tax regime that rewards real estate monopolists, financiers and speculators whilst fining labour and capital. When the integral role of taxation systems in the collapse are recognised, so will the unreality of the US financial system be exposed to public scrutiny. Taxation does indeed destroy! The sorry fact, however, is that the new president is at the mercy of economists, 99.0% of whom are clueless about remedying the financial meltdown. They’ve been trained in the same way as those who presided over the collapse in the first place and don’t understand that there is an alternative to taxation. Economists of the Austrian School might be nonplussed at this point, because although they do understand that taxation is indeed theft from labour and capital, most of them have not yet discerned that land revenues drawn from the holding of real estate are not taxes in nature but rents. Nor do they recognise that publicly-endowed real estate values do not in any sense connote ‘private property’. Without this understanding, they are merely a measure of degree superior to Marxists at the other end of the political spectrum. The USA has reached this low point in economic history because taxation and land price increases were permitted to whittle away the purchasing power of its citizenry and, as a consequence, astronomically inflate debt levels. Fuel to the fire over the last 30 years has been the remorseless winding back of land-based revenues at the insistence of a rampant real estate lobby. Mason Gaffney, professor of economics at the University of California (Riverside) long ago documented the decline in the fortunes of California following Proposition 13 putting a lid on its property tax in 1978. He noted, contrariwise, the superior economic performance of New Hampshire the highest property-taxing state in the US. It seems that many people other than most modern economists (‘mules packing a library’?) are starting to comprehend the extent of the Californication of America. It is becoming more apparent that in order to wake from the financial nightmare, the US sorely needs to capture more of its publicly-generated rent for necessary revenue, instead of fining the producers of wealth. But neo-classical economics still remains the stumbling block. 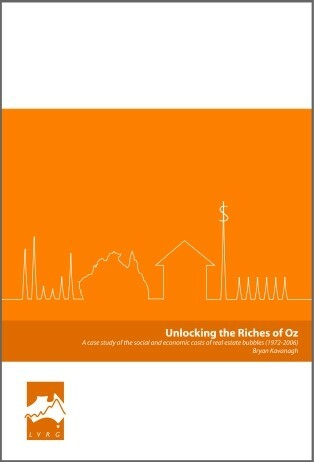 Despite the need for taxation to be reduced and public capture of rent to be increased worldwide, “Australia’s Future Tax System” (AFTS) seems destined to tinker around the edges. The panel of economists, comprising Ken Henry, Jeff Harmer, John Piggott, Heather Ridout and Greg Smith have retrieved the situation from Treasury’s early ‘slip’ in its basic outline of Architecture of Australia’s Tax and Transfer System wherein it said that revenue may be derived from three sources – from land, labour and capital – to produce its preliminary Consultation paper Summary in December 2008 which now appears to see only two potential revenue sources, labour and capital. Land seems to have disappeared, rendered invisible once again by the spin and prestidigitation of economists. We can assume the scrapping of a number of taxes and be expected to fall for the latest fashionable (hopefully diverting?) tax. But we’ll be asked to overlook the damaging role played by the taxation of labour and capital in fostering the development of Australia’s soon to burst bubble in land-prices. The AFTS panel has been handed an extremely critical brief, made all the more important by world economic events. We must hope over the course of 2009 that it can raise itself above the mediocre to offer the solution to our times.